If you have some cauli laying around and you don’t know what to do with it, use this recipe to get a different feel and get an extra veg on your plate! Get the oven hot at 180 degrees celsius. Melt the coconut oil and mix in ingredients except the cauli. Add cauli florets to the bowl and mix evenly until well coated. 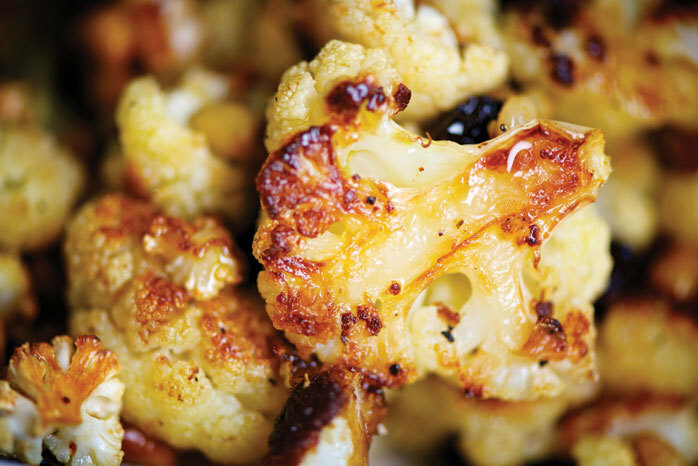 Put florets of cauli on a lined baking sheet and bake for 30 minutes until browning/crisping. Have fun!